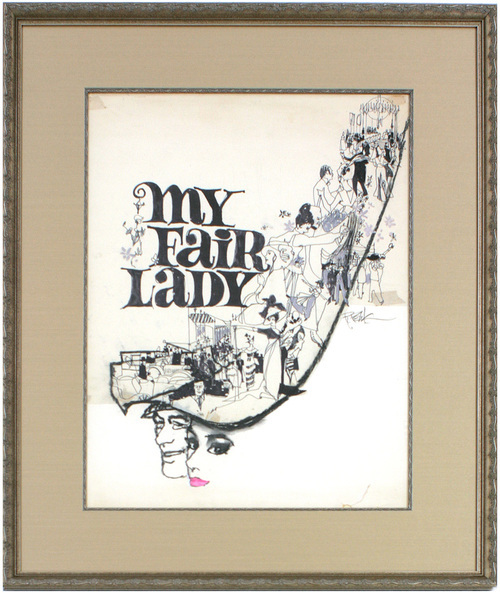 Original drawing from the My Fair Lady movie poster campain. This is one of the few remaining original drawings in existence from this movie. Audrey Hepburn and Rex Harrison.